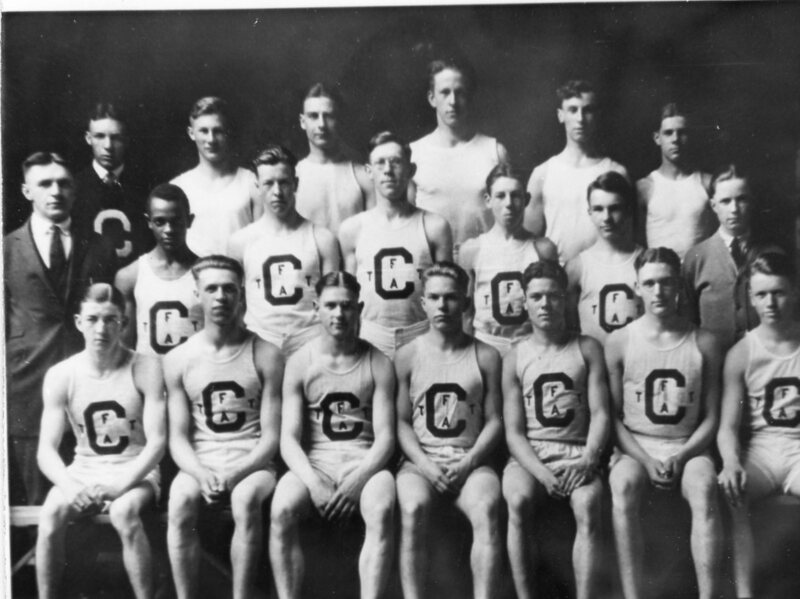 Our first photo for this week is of a Corning Free Academy sports team. The photo seems to have been taken in the early twentieth century. And not being a sports fan, I’m not sure if the team consists of basketball players, runners or wrestlers? But I bet there are sports fans out there in Internet Land that know! So if you know the sport and/or anything about the players in the photo, let us know! 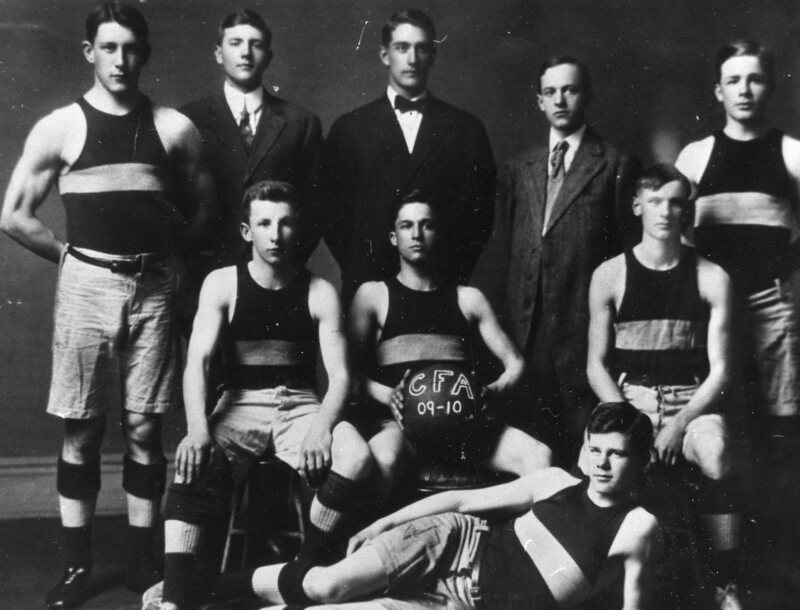 And our second photo for this week is of the Corning Free Academy 1909-1910 basketball team. And boy don’t they look like serious sportsmen! January 19, 2018 January 12, 2018 Linda Reimer Corning, Corning NY, Indian Monument, Indian Statue, Local History, New York State History, Painted Post, Painted Post NY, Public Library, Seneca Indians, Southeast Steuben County Library, Southern Tier. First a bit of back story! Painted Post, New York was named after the old Seneca name for the region which at one time did include a painted post. When the original maker was put up in unclear though there were many stories about the original post and what happened to it; the only thing about its disappearance that is certain is that it did eventually disappear. In 1824 Captain Samuel Erwin commissioned the first metal Indian monument to be built in Painted Post. In 1948 that monument was destroyed during a violent storm and a new monument, designed by local high school art teacher Norman Phelps was built and placed on Water Street in Painted Post. 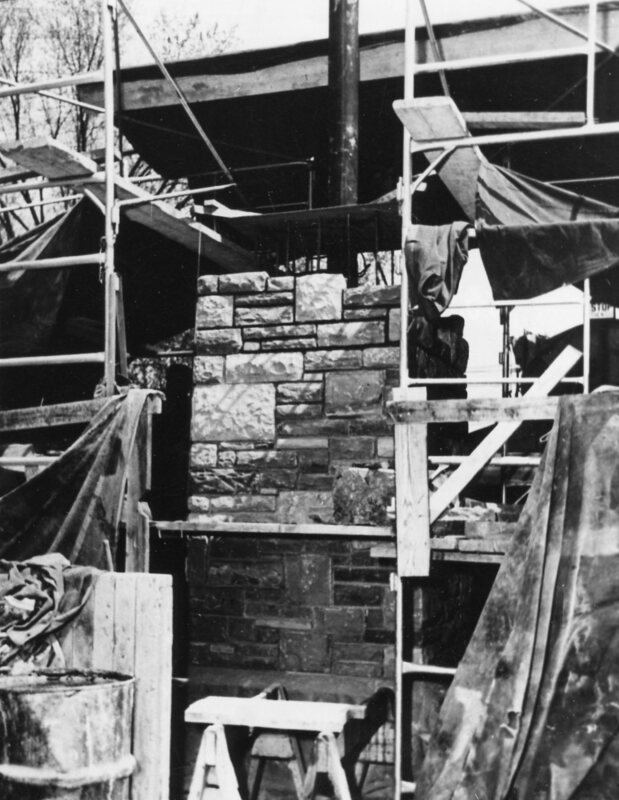 And our first photo for this week shows the monument being built! 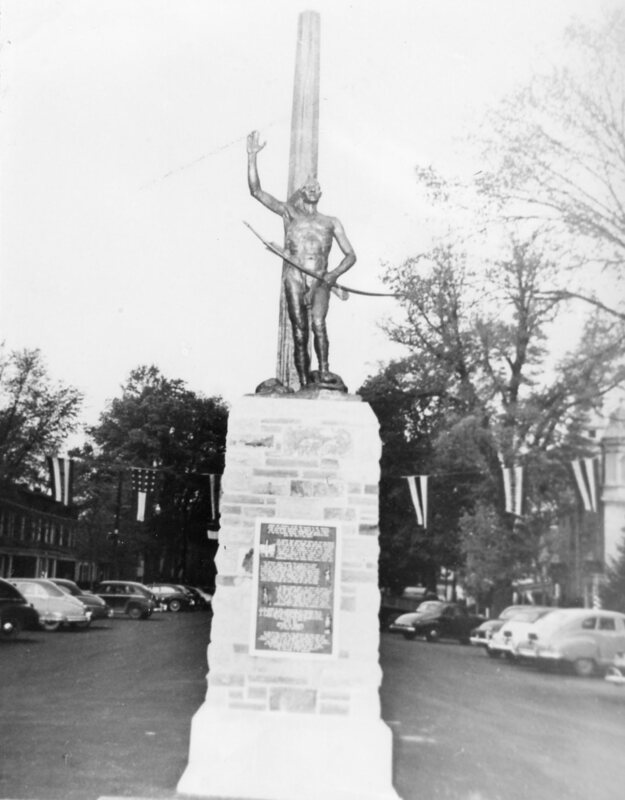 As the new monument was unveiled in 1950, I’m sure many people remember the unveiling ceremony and the fact that the new monument was originally located on a small piece of land in the street itself before being moved to its safer current location near the Village Square in Painted Post. Do you remember when the new monument was unveiled? We love local history stories so if you’ve got one to share – let us know! And our second photo for this week shows the completed new Indian Monument in 1950. Painted Post and its Monument by Audrey Phelps. Crooked Lake Review. 1993. January 12, 2018 January 12, 2018 Linda Reimer Corning, Corning Factory, Corning Glass Works, Corning Inc., Corning NY, Local History, New York State History, Public Library, Southeast Steuben County Library, Southern Tier. 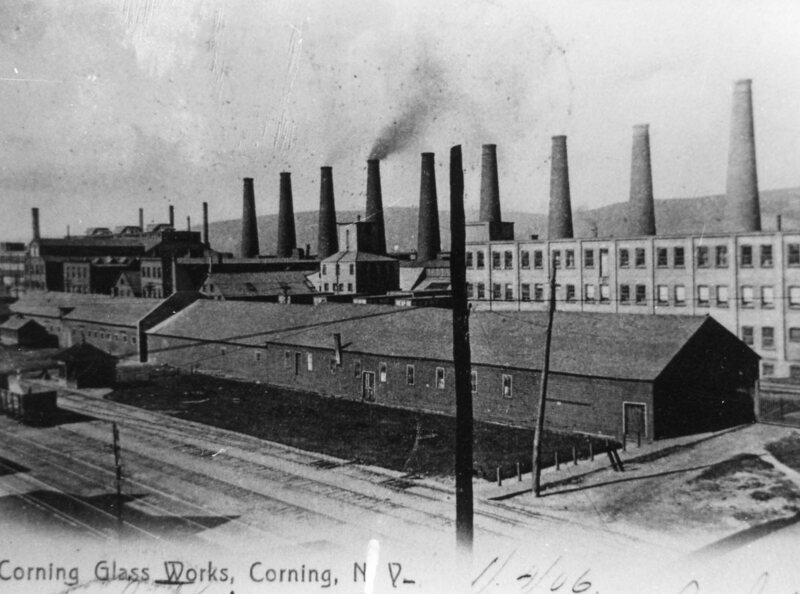 Our first photo for this week is another photo of an old time postcard; this one is of the old Corning Glass Works Factory. The photo was taken before my time. However, I think the building seen in the distance might just be the old office building that was located somewhere near Centerway Square before it was torn down to make way for the current modern Corning Headquarters building. 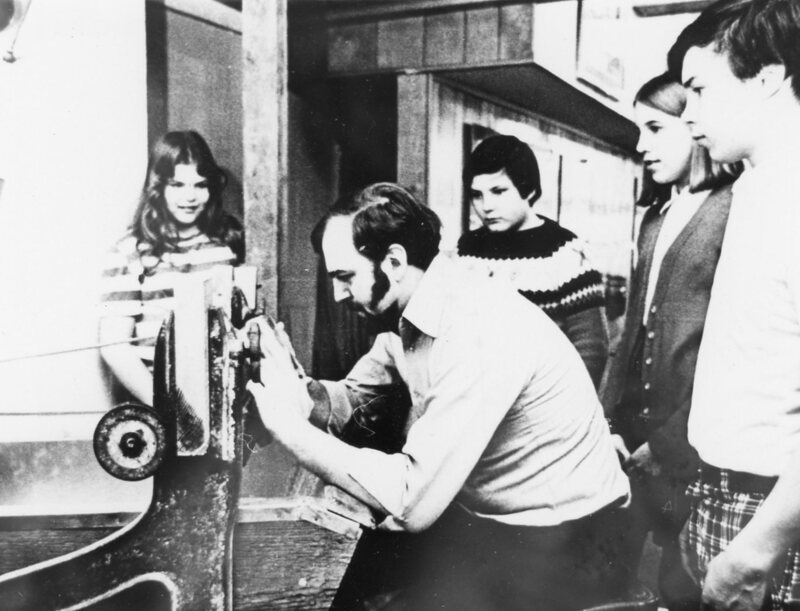 If you have stories or memories you’d like to share about working at Corning Glass in the olden days – please do! Photo 2: Students In Shop Class? Our second photo for this week seems to have been taken in the 1960s or 1970s. We might just be in luck in finding out more about what is going on in the photo and who the people in the photo were, or are as the case may be, as in looking at the hair styles and clothing it is apparently the photo was taken relatively recently – I’m going to guess in the 1970s. So if you recognize the people in the photo and/or know what type of equipment the students are learning about – let us know! Dear reader, with historic interest, do you know why Mary’s family name may have been spelled with an apostrophe: M’Elligott in her senior yearbook? January 5, 2018 January 5, 2018 Linda Reimer Corning, Corning NY, Local History, New York State History, Public Library, Southeast Steuben County Library, Southern Tier. 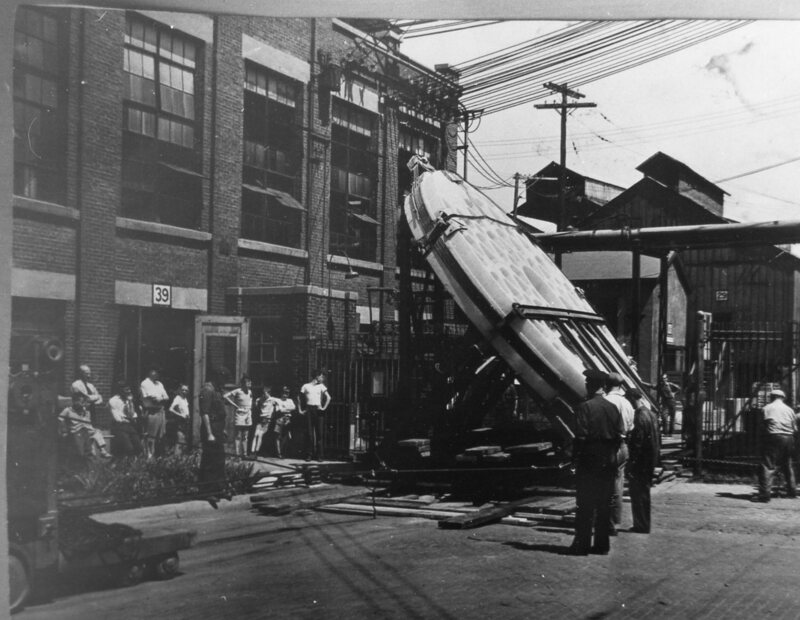 Photo 1 shows men moving the 200″ Pyrex disk to the train station for its trip to the Palomar Observatory in the mid-thirties. A cool photo showing a slice of the history of glass making in our area! 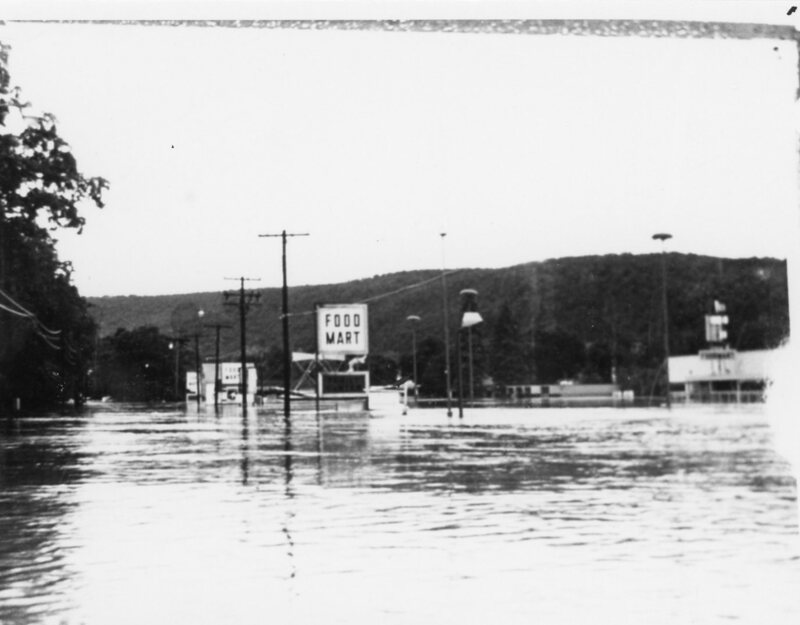 Our second photo for this week is a scene showing Park Avenue, with the Food Mart building on the right, during the Flood of ’72. Mirror To Discovery: The 200-Inch Disk And the Hale Refelcting Telescope At Palomar. Rakow Research Library. Online. January 10 to October 30, 2011.